Although this mural was painted in Binbrook, Ontario, I also sell adorable animal wallpaper murals that ship for FREE in Canada and the USA. They’re super simple to hang and are removable when your kids grow out of the design. 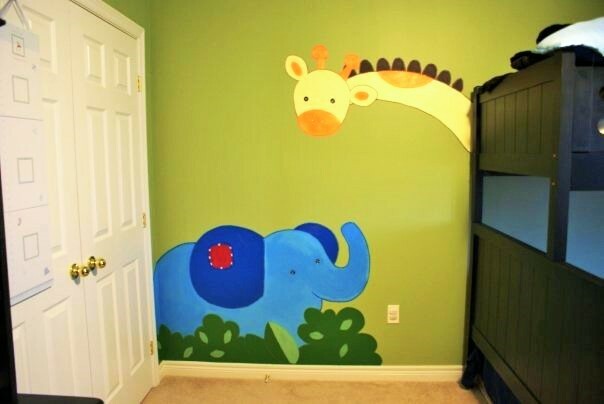 Are you thinking of adding a safari mural in your kids rooms? 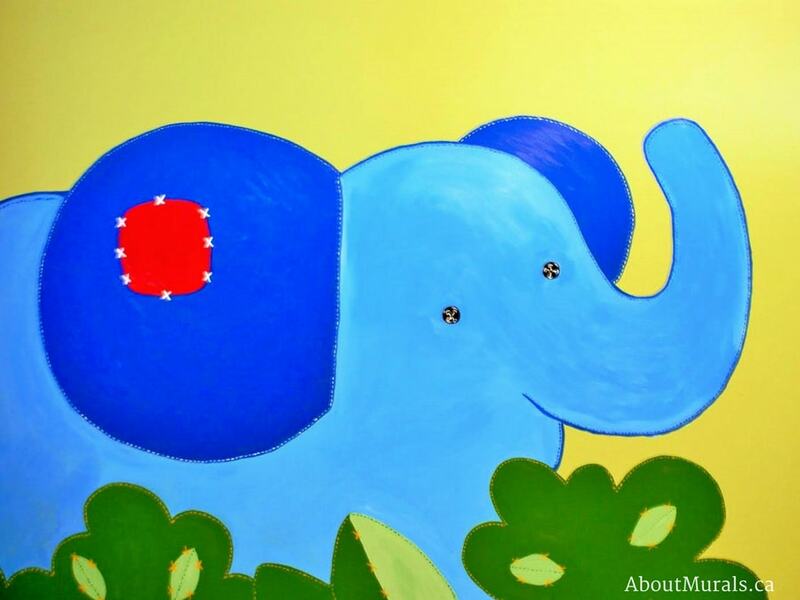 Here are some photos of a mural I painted for a toddler named Jax as some ideas for your kids room! In this safari mural, I painted the giraffe (inspired by his bedding) peeking out from the top bunk bed. 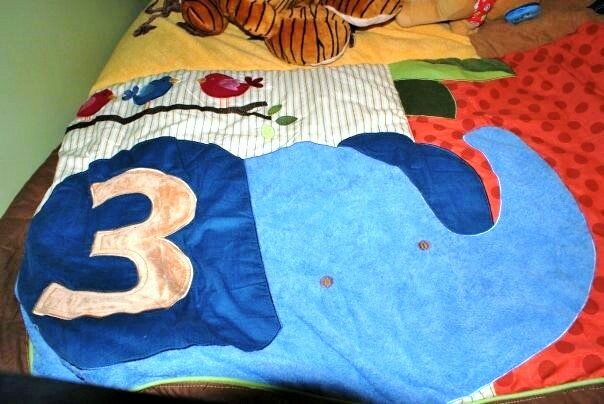 The elephant is low to the ground – the perfect spot for Jax to play with his toys or read books. 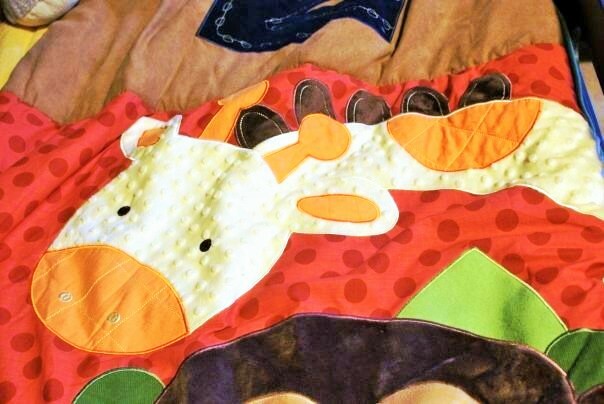 All of the animals in the safari mural have button eyes and stitching details, just like in the quilt. 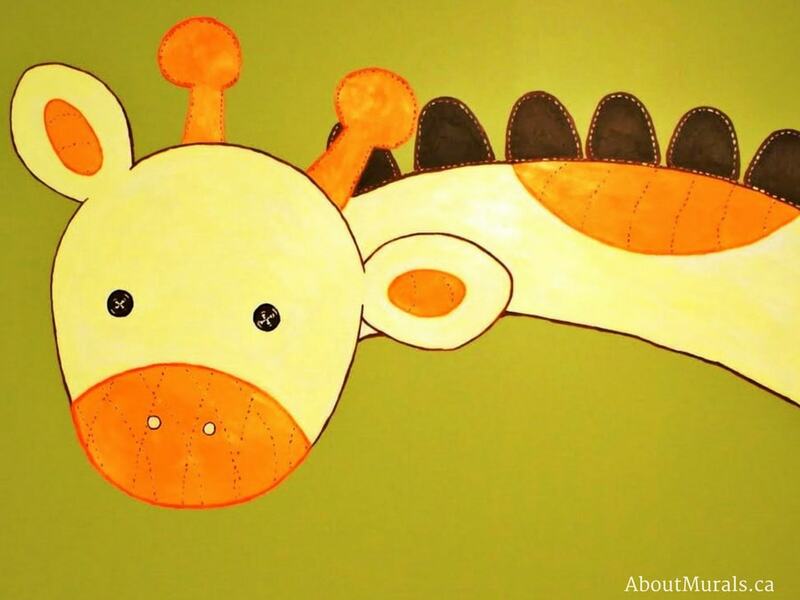 I paint all my wall murals using non-toxic acrylic paint and no-VOC latex paint, so it’s safe for your kids to play and sleep in their bedroom – even on the night that I finish painting. All my wallpaper murals are eco-friendly, too! 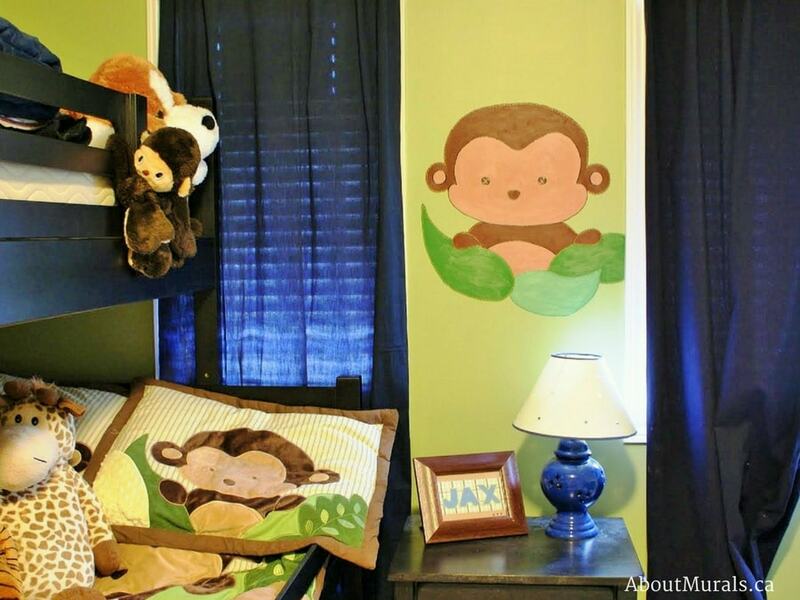 I painted the monkey in the safari mural in a comfy nook between the window and Jax’s bed, peeking out from behind some leaves. It’s the perfect height for Jax to reach out and pet his new buddy every night before bed. Still thinking of a safari mural and like my style? Let’s work together! I’ve painted kids wall murals, from Toronto to Niagara Falls, since 2005. I even had the pleasure of painting a mountain mural for a Mike Holmes TV Show! Join my newsletter community and I’ll send you the latest promotions and maybe even a hot coupon code!